We use the feed bowls made out of recycled rubber because they’re so much harder to kill! But he still kills water buckets. Sigh. 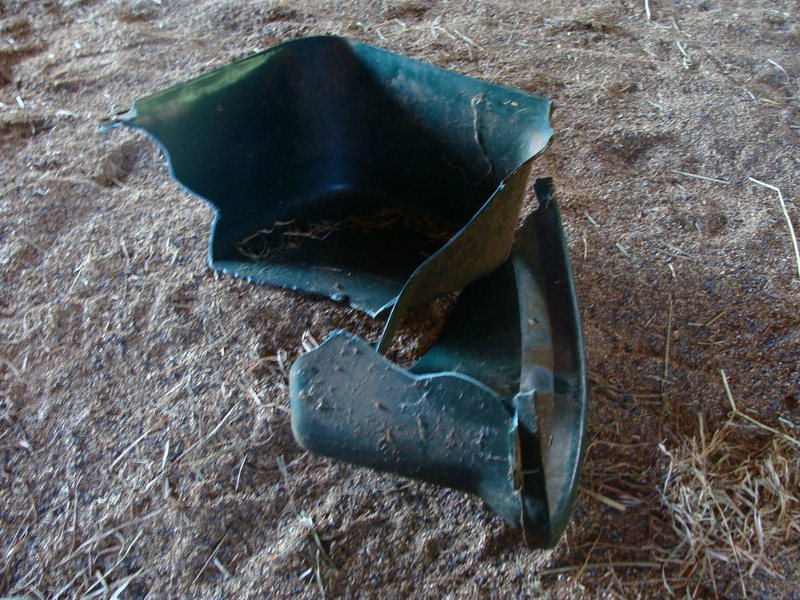 My lease horse is a good little boy, but there was one horse at my old barn who destroyed most of his buckets. They went to these big rubber things, and those seemed to last. Here’s hoping that the new bucket lasts more than a few days!